Castlereagh Hills Golf Course recently hosted a 5 Club Challenge with 11 teams competing for the winning position. A great day was had by all those who entered and was followed by some fantastic food at the Clubhouse restaurant, Sinnamon Bistro. 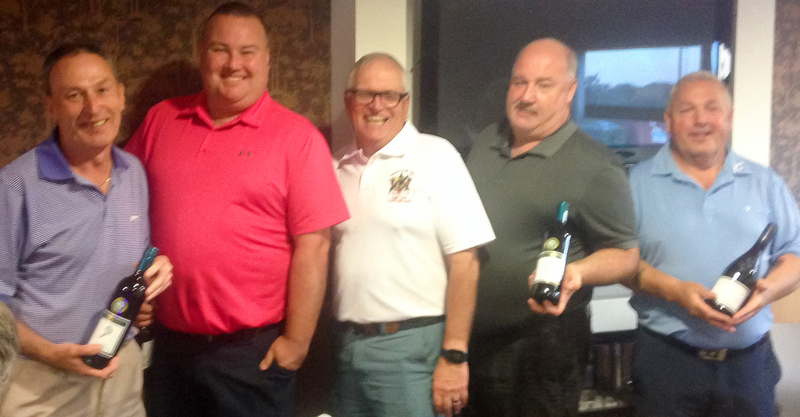 The winners of the Club's 5 Club Challenge event, "The Hillbillies", David McKittrick, Ian Wright, Tommy Wright and Tommy McIver, were presented with their award from Club Captain Jim Mawhinney. Want to join the fun? Keep an eye out for more information in the Clubhouse and Facebook for the upcoming BBQ on 18 August!